This burgundy banquet tablecloth is needed to finish an overall presentation when using skirting. 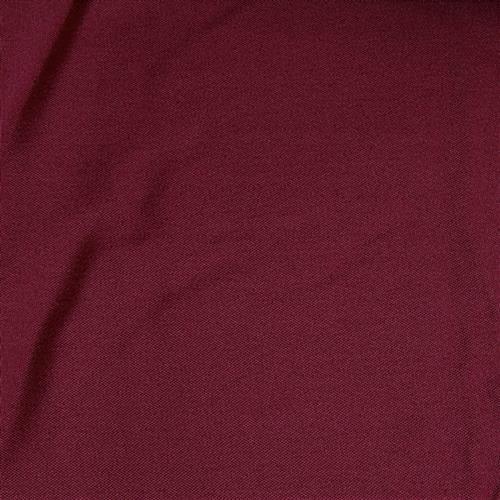 The burgundy polyester material is easy to work with, and is fairly inexpensive. The table top overlay, burgundy banquet tablecloth keeps the top portion of a display table covered, therefore creating a more refined look. 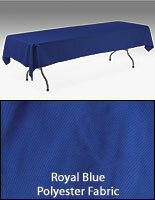 When used with a skirt, this topper allows for a complete table covering. 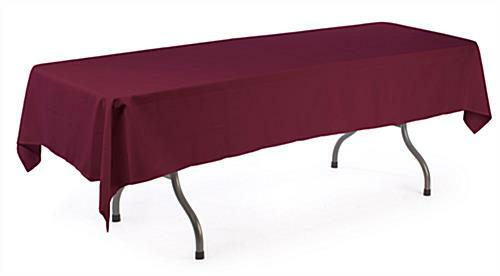 This burgundy banquet tablecloth, also known as table skirt accessories, measures 54"w x 96"l and can be used over top of 6-foot-long tables. 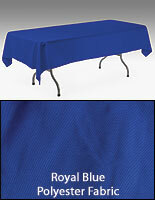 This size table is commonly used in most hospitality settings and large sponsored dinner events. 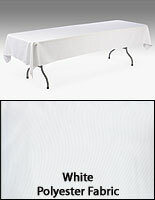 We sell the burgundy banquet tablecloth in a beautiful burgundy shade, to match our collection of table skirting. Purchase skirts and clips to match this topper right here at Displays2go. This burgundy banquet tablecloth is made from 100% polyester for a wrinkle-resistant and machine-washable display tool. An occasional warm iron may be needed to remove wrinkles after washing or long periods of storage. 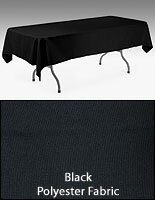 The table linens, burgundy banquet tablecloth gives users the ability to hide the top surface of a scratched, damaged or simply unattractive table during a presentation. This linen should be used during a business conference, trade show event, banquet or convention to improve a display's overall appearance. 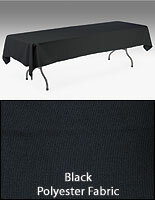 The burgundy banquet tablecloth will create a more structured and professional display, when used in conjunction with our box pleated table skirts. 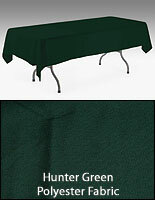 A burgundy banquet tablecloth, such as trade show table skirting products, is a simple tool to better showcase a displayed item, setting you apart from competitors' displays.